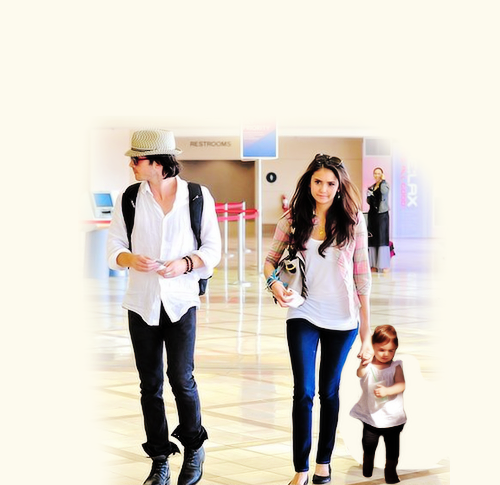 Nian Family. . Wallpaper and background images in the Ian Somerhalder and Nina Dobrev club. This Ian Somerhalder and Nina Dobrev fan art contains well dressed person, suit, pants suit, pantsuit, long trousers, and long pants. There might also be outerwear, overclothes, pantleg, and box coat.